Moving house can be a very stressful time, and if you’re helping to move an elderly friend or relative, it can be an emotional time as well, as some seniors find it very difficult to leave a home that they’ve lived in for many years. From the sorting and packing process through to scheduling movers and setting up a new home, it can seem like a daunting prospect that you don’t really want to think too much about! However, with careful preparation and planning, the whole relocation process can be made a whole lot easier. Here are our top 7 tips for moving. One of the most important tips for moving involves planning. Set a moving date as early as possible, inform those that it affects the most, and then start early. Allow enough time so that the process isn’t rushed – sorting through years of belongings can be painful enough, and those who are moving need time to absorb the change. Plan the move ahead by confirming how big the new living space will be – obtaining a floor plan is an ideal way of working out how much space you’ll have to work with. It’s also a good idea to redirect mail and change address details, as soon you know when the moving date is. You should also keep an eye on the weather when relocating yourself or a loved one. Moving out (and in) during storms or a cold winter’s day is obviously not ideal! Don’t be afraid to ask for help from other family members and close friends. Moving is not an easy process to undertake and often needs the assistance of a few people in order to make the transition efficient and stress-free. Once you’ve got your moving team confirmed, divide up the tasks and schedule in when these might be both started and completed. Another packing tip to be aware of is that you should pack slowly and methodically, and start with one area or room at a time so that the process doesn’t become overwhelming. It’s also best to keep your packing times regular so that as a team you are consistently progressing towards the end goal. It may seem like a given, however, if you’re helping a friend or relative move house (particularly an elderly person), it’s important to be kind. Remember that moving is often a difficult process, and relocating can be a huge change for everyone. Be patient and allow them time to say goodbye – rushing won’t get things accomplished in a sensitive manner. Give them time to go through memorabilia like old photos if they need, be respectful of their choices and offer both physical and emotional support. Another considerate moving house tip is to get whoever is moving involved in the decision-making process. Allow them to guide you as you are sorting, and on moving day, ask their advice in terms of where they prefer things to go. If you have access to the new property earlier, arrange a trip to survey the surroundings, and introduce them to their new neighbourhood and community. 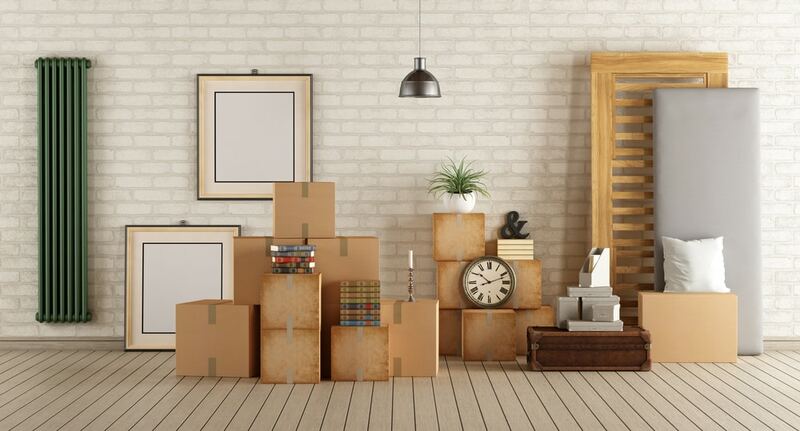 If you’re packing to move house, divide tasks up into small chunks to make the whole process more manageable. Tackling a whole house in one weekend is not only daunting it can be distressing, particularly if you are helping an elderly person to move. Start with a room that has the least sentimental value (like the kitchen or laundry) and if they’re able to assist, give them small tasks to do like going through a cupboard or unpacking a box. Make sure you take small steps to enable them to get used to the idea of moving and keep the process to only a few hours at a time. Lists can help keep things super-organised, and they’re also a tangible way of ensuring whoever is moving is in the loop about what the overall plan is. Having a timeline in place for the whole process can also minimise stress levels, particularly if you regularly keep all those involved abreast of what’s going to occur. Keep a notebook handy at all times and add to it as you think of things that need to be done. Another handy relocation tip, is to also remember that elderly people in particular need time to adjust to the changes, so keep the communication lines consistently open, and share with them updates that occur sooner rather than later. Like most of us, elderly people keep a lot of things they don’t necessarily need or will ever use, however it’s important to be gentle when you’re suggesting that they relocate or throw away possessions. Items to be kept. Apart from the basics and keepsakes like photos, important paperwork like wills, birth certificates, passports and medical records should be kept in a safe place, and family members might like to decide together where these are filed and/or stored. Items to be given away. Other family members are often happy to take belongings into their own homes, whether it be a family heirloom or a piece of furniture that may be too big to fit into the new property. Sometimes it’s easier to give away items if they’re going to a good home! Items to be sold or donated. Websites like eBay and Gumtree are often useful for selling items that are no longer needed, and charities will often accept bric-a-brac and bigger items like furniture, particularly if they’re in good condition. Items to be thrown out. Outdated medications, clothing, electrical items, books and other extraneous household items that are damaged or no longer useful can be either taken to a local resource recovery centre, or you could consider hiring a skip bin company who will sort through all of your rubbish for you. Regardless of whether the current dwelling is to be rented or sold, it will still need to be cleaned thoroughly before it’s vacated. To minimise work at the end of the move, clean and vacuum each room as you go, make sure curtains are removed and washed, floors are mopped and carpets are attended to by a professional cleaner. Another handy relocation tip is to take care of any maintenance issues early. This will ensure the whole transaction is as stress-free as possible, and that the new owners or renters move into a clean, tidy and well-functioning home. Just like you or your elderly friend or relative will! Need some professional help to move house? Contact the experts at Property Clearance today on 1300 200 292.